We specialize in creating custom items; we take your idea from sketch to prototype, to finished product. On-demand manufacturing means you can order as few as a dozen custom items on reorder and 24 in your opening order*. Our products are made on demand in Bristol, RI. With the majority of materials sourced in the USA. 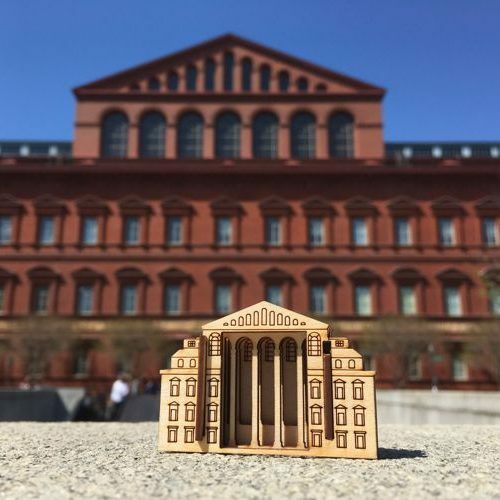 Greater Portland Landmarks is a nonprofit preservatioon society with more than a dozen buildings in their care but when creating their Matchbox Miniature we decided to focus on one building that summed up Portland's rich maritime history - the Portland Observatory. Framed at the top of the piece by the city's distinctive hilly skyline, the Observatory overlooks a vingiete of Portland's historic waterfront. 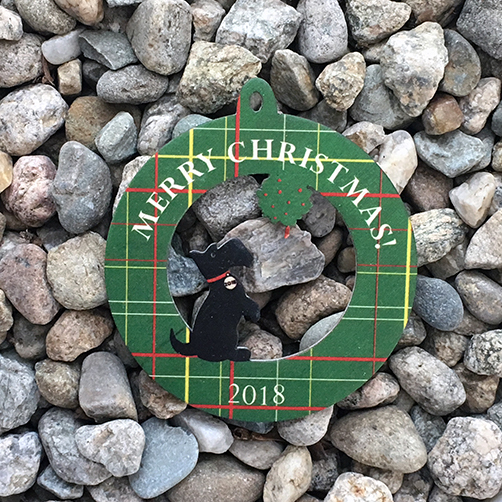 Now a best selling item in their gift store, manager Alessa Wylie says, "From the packaging to the product, they are just first class." “From the packaging to the product, they are just first class." We will work with you to create the perfect custom piece to fit your town or location. For the smaller stores, we offer low minimums and low one-time art charges. Our flexible on-demand manufacturing allows us to accommodate larger stores just as well. Plying the waters off Camden. Maine, the 57’ Schooner Olad is a relic of another age. Each summer lucky passengers sign on to spend a few days as crew. Business Manager Susie Cooke wanted to create a keepsake that would capture the essence of the ship. A bookmark? Small- to fit the parameters of minute storage aboard but powerful in its ability to deliver art and info on a single plane: Boat and specs on a 2” x 7” durable piece of miniature birch plywood stained to the same color as the hull. 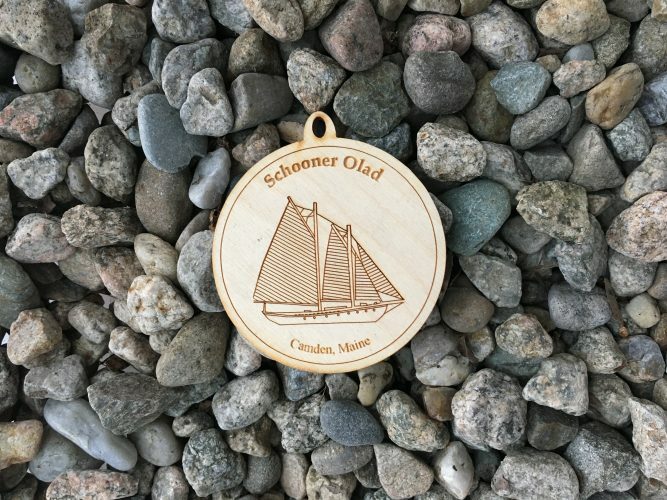 It’s a bookmark that will last for generations - just like the Schooner Olad itself. 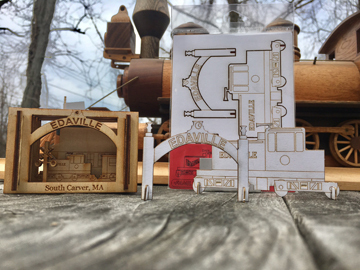 To expand on their success with a custom Matchbox Miniature, Edaville Railroad in South Carver, MA, approached us to create a product that would riff on that piece and appeal to kids. Using the Matchbox as a basis, we created a 4" x 5" mailable coloring postcard on thick cotton card stock suitable for crayon, paint or colored pencil. After coloring, pieces pop out to create a miniature three-dimensional diorama that serves as a reminder of a train ride around one of New England's most beloved living history museums.